It was with heartfelt sadness that the Museum recently learnt that a long-standing Friend and keen supporter passed away. 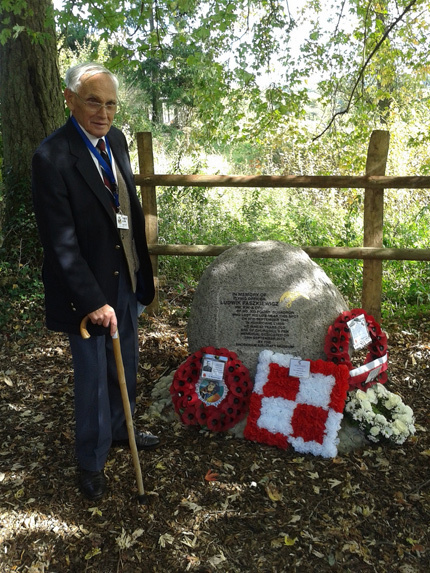 Den Layell was one of our unsung heroes who was incredibly generous in his donations, especially towards the successful ‘Local RAF Memorials Project’ and despite failing health it was a great joy to see Den attending the last memorial unveiling in September 2018. As a young Londoner, Den became an evacuee during the Second World War and he held RAF Battle of Britain fighter pilots especially in high regard all his life, hence his keen support of the memorials. Den also never forgot his experiences as an evacuee and he was always happy to share his stories and as a member of ‘The Evacuees Reunion Association’ (now called ‘The British Evacuees Association) Den often gave interesting talks to the public. Just like the wartime veterans who served and sacrificed so much, Den was from a wonderful generation who helped to keep the ‘great’ in Great Britain. They will forever be missed. Written on Thursday, February 7th, 2019 at 9:02 pm.